We here at Sonner Sound have collected a wide range of buttons, switches handling noises, cranks and dials, both old and new. There’s over 500 sounds collected in 68 files, so something here for everyone! Regular household buttons such as light switches and computer mice and some more experimental in steampunk style. They’re recorded at 96 kHz and 48 kHz at 24 Bit (both Stereo and Mono) with rich meta data. Recorded with Sennheiser MKH50 and DPA 4017. Categories: Foley, Mechanical, User Interface (UI). 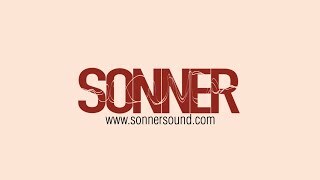 Sonner Sound was started in 2012 as a company for recording and post production for commercial/TV and film-work. Since the start we have been working on hundreds of different projects. Everything from commercials, film and television has been worked on, both with foley, recording, mixing and sound design. As the time has gone by we’ve started to have our own library of recorded sounds, gathered for in house use for us, with hundreds of hours of recorded material in total. We have been using these in house for our post production needs for years, and now we’re ready to share it.